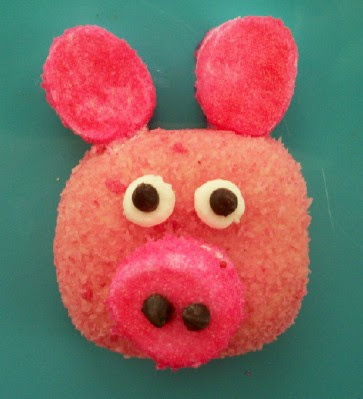 We had a package of Sno Ball Hostess cakes and decided to turn them into pigs. We used 2 large marshmallows, pink sprinkles, 1 small marshmallow, 4 mini chocolate chips, and cookie frosting. We cut the large marshmallows in half. We dipped them in a little bit of water on the top and sides and then we dipped them in the pink sprinkles. Attach them with the frosting on the top for the ears. Take another half of a large marshmallow and do the same thing for the nose. Attach the mini marshmallow halves for the eyes and attach the chocolate chips on the eyes and nose. The kids will have so much fun making this! We also thought it would be fun to make a Mrs. Piggy. We did the same thing, but added hair, a mouth, eyelids, and eyelashes. 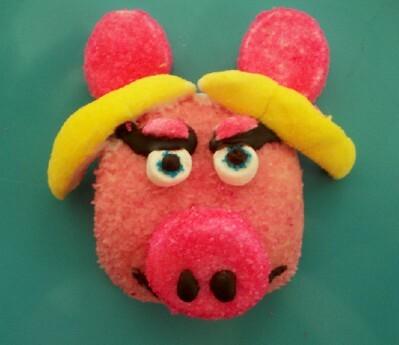 Ours turned out to be angry Mrs. Piggy!ha For the hair we used a left over Peep from Easter. We used the frosting for the eyes and mouth. We also used 1 extra mini marshmallow and dipped in sprinkles for the eye lids. 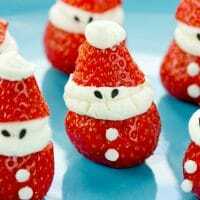 cute, cute food! such a cute blog!!! 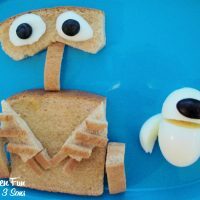 my 3 yr old grandson would enjoy these fun food offerings! How cute is this? Great job! I like your blog a lot and am your newest follower! Found you through Welcome Wednesday but was here before, not sure why I didn't follow the first time? 🙂 Feel free to follow back. This post is so silly and cute! LOVE IT! i am so glad i found your blog! 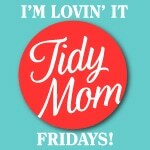 these are great ideas for me to do w/my2 year old!!! i am your newest follower! stopping by from the i love blogging hop! would love a follow back and say hello! cute! and i <3 sno balls! Your Miss Piggy cake just makes me laugh. 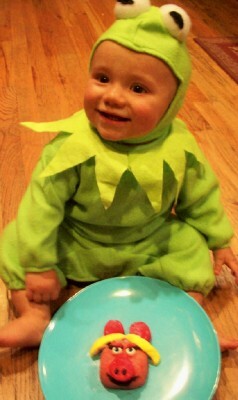 What adorable little treats and such a cute little frog too. Thanks for linking them up to Sweets for a Saturday. 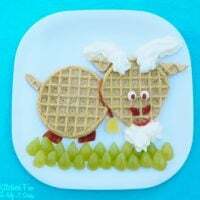 Oh please tell me you will link this to Bacon Time, so cute, I would love to feature it after the party! The linky is going on now. Thanks for linking up more then one fabulous treat at Bacon Time. I am featuring these this friday morning. Hope to see you again this week.